There are many types of patient cases which require more grafts than what can be supplied by the donor follicles on the scalp. And this can be problematic when conventional hair transplant surgical methods are used, where the scope of expertise is limited to only performing extractions on the scalp. misplaced or awkward looking insertions that have a detrimental effect on the patient’s appearance. 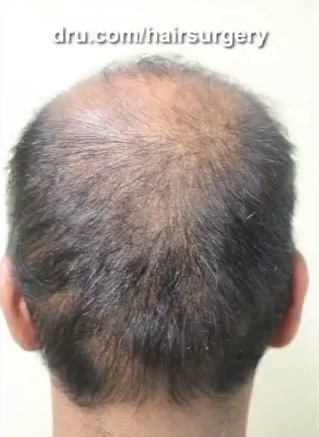 However, another issue that we often see is the over harvesting of grafts on the back and/or sides of the head in an attempt to cover severe areas of baldness with the use of only head hair donor. This results in linear areas of emptiness, or wider looking areas of missing hair in the head donor regions. 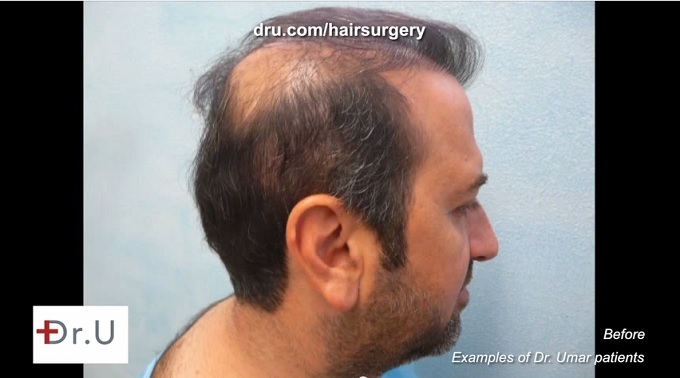 In these cases, previous surgeons attempted to meet the pressing demand for improved coverage by extracting an excessive number of donor hair grafts from the scalp, creating the additional problem of barren areas in the back or sides of the head. However, it is important to maintain the awareness that except in some extraordinary cases where donors are above normal; the scalp can typically only offer a maximum range of 5000-7000 grafts. For most patients with NW 6-7 hair loss level, this is inadequate to offer credible global coverage. The best that can be hoped for with head hair only surgeries in these cases would be NW 3ish hairlines with very sparse to empty crowns. Patients requiring youthful hairlines with global coverage and density should be looking to supplementing their donor with body hair transplants. Recently, Dr. U addressed the issue of exceeding the head donor limits in Follicular Unit Extraction surgery through this video.